I'm Louise from the United Kingdom, I'm 23-years-old and a Media Studies graduate. This being said, I have always had a passion for art from a young age and studied art up until I started university. I have been unsuccessful at securing a job so have decided to try and set up my own business selling my artwork and illustrations. I have no problems doing the art however, getting clients/customers is my main problem currently! I have a Facebook page with examples of my work, I have business cards on the way. I just can't seem to get any work coming in. (Intro over) I just thought I would share with you some of my portraits I have done over the last 5 years up until around a month ago. I specialise mainly in portraits. Any feedback would be much appreciated! Hi, Louise! I'm not self-employed, so I really couldn't tell you how to get a business up and running in any sure or reliable manner. However, there are a couple things that come to mind. Firstly, what you probably want is exposure. You said you have a Facebook page, but it's hard to get exposure there unless you have lots of "friends" on Facebook who are willing to share and link to your artwork. I would probably suggest a Deviant Art page. The pictures there are accessible to more people and your art will even show up on Google searches. Plus, Deviant Art has an option for your own online store front and print options for your artwork, that way you'd be able to get physical prints out to clients. Secondly, you might want to consider branching out from portraiture. It's a small niche market. I can't think of anyone who has done it. Most people go for photography, not paintings if they want something like that done for themselves. Out of curiosity, how do you usually operate currently with your portraits? Do you rent out a studio or do you go to clients' homes and do their portraits there? Needless to say, renting your own facilities is cost-intensive... And clients are likely to hire you if you go to them. Welcome to our island. 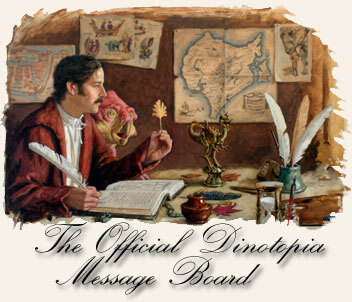 Although you have introduced yourself here, perhaps you would like to start a thread in our Introductions board with more detail, such as what sparked your passion for art, as well as how you found Dinotopia and our humble forum. 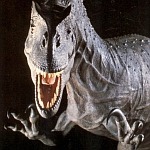 And if you have ever drawn pictures with dinosaurs in your younger days, we'd sure like to see a few! (Intro over) I just thought I would share with you some of my portraits I have done over the last 5 years up until around a month ago. I specialize mainly in portraits. Any feedback would be much appreciated! Your linked art is beautiful! How much time does it take to do a portrait (I'm asking because to make a living at art or nearly anything, efficiency does (unfortunately) come into play)? For example, I'm amazed at how quickly Mr. Gurney can produce a sketch in minutes, or a painting in a few hours or days. Speaking of portrait sketches, the only time I ever had an artist draw one was a caricature at an amusement park -- you can see it by scrolling down some in my art thread. This took all of 25 minutes. 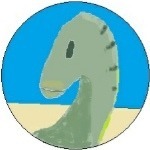 I'm not self-employed either (and definitely not an artist although I enjoy playing with my dino "art"). Yes, Deviant Art's exposure as well as its ability to sell prints would be helpful. Before the Internet, some artists have shown their paintings in various public venues such as restaurants. My public library is decorated with paintings from local artists, which are also for sale. I agree with this also. A friend brought her original oil painting of an old mill house to a nearby frame shop to get framed. The shop's proprietor liked it so much that they arranged together to sell framed prints of her picture. Think of subjects which folks would want to see on their wall, day after day.